This weekend, I was reading some articles about the Internet of Things and Robotics on the web. This remembered me about Karotz, a robot-rabbit. 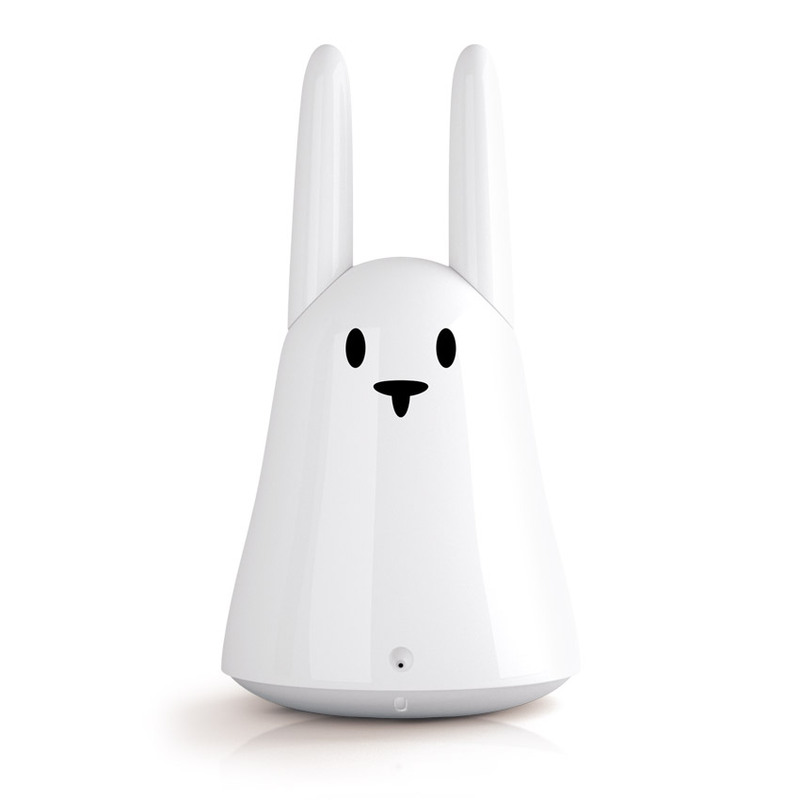 My friend Niek temporary owned a Karotz because he participated a social experiment with, lets say, 'robotic rabbits'. :-) I knew the experiment ended and Niek, after offering me to take care of the rabbit, sent it back to the girl leading the experiment (lets call her 'Alice'). I remembered that a short while after that, the manufacturer of Karotz stopped supporting it, and shut down its central web servers. And those rabbits couldn't work without the central servers, so they all went to sleep, and where useless ever since. I wondered if someone found a way to bring these rabbits back to life. I found a nice post about replacing its inner parts. But after googling a few more seconds, I found a project called "Open Karotz", bringing the rabbit back to life with new firmware, this time without the need for a central server. That's great! But where to find rabbits to experiment with? Too bad, no company sells rabbits anymore, and also Marktplaats and Ebay didn't offer a rabbit to me. So I talked to Niek during lunch at work, and asked him if it would be a good idea to send a message to Alice and ask her what happened with the rabbits she got back after the experiment ended. Niek did, and a day later (today) Alice sent him a reply that she still kept some rabbits and we could adopt a few. The story and adventure has begun, more soon!